← Will You Still See Me? Will You Still Drill Me… When You’re 64? Know What Your SEO Is Doing! As this blog has become more popular, I am finding more and more spam comments. Most of them are from purveyors of anything from shoes to male enhancement products. Most of those get automatically filtered out by my spam plug-in. This isn’t the first time I’ve written about this topic. But, some of them are from “dentists.” The reality is that they aren’t really from the dentist, but rather they are submitted by whomever the dentist hired to do the SEO (search engine optimization) for his or her website. The idea is to build “back-links” to the dentist’s website, increasing his “Google street cred.” The more links that point to your site, the better for increasing your Google ranking…. to a degree. Ideally, you want other high-ranking and highly-relevant sites linking to yours. Posting comments on a blog (which usually allows a link in your signature or even in the body of the comment is, theoretically, a way you can create back-links without having to enlist the help of other website owners. You don’t have to ask. With blog comments, you can do it yourself. But, it can backfire. First of all, bloggers don’t like spam comments. 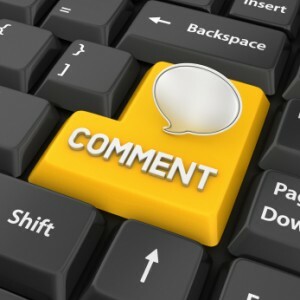 We want comments that contribute to the conversation. We don’t mind a link, if you are actually contributing. Of course, to post a cogent comment, you must have read the article. It helps if your comment is relevant to the article content. Here’s what may happen when you hire someone to do your SEO: The SEO, farms out some of the SEO tasks (oftentimes overseas). The contracted lackey spams blogs with what amounts to gibberish, just to create a back-link. It’s gibberish, because the proxy commenter hasn’t read the article and fails miserably in his / her command of the English language. Does anyone know these dentists? I would normally blur out the dentists’ names. But, they should know about this. So, if you happen to know them, feel free to alert them. I would have emailed them, but their own website does not have a way to contact them by email (not good). And, frankly, I’m too lazy to call them. The dentist is in New Jersey. While I have often found the IP address of the commenter to be in a foreign country, this one happens to be 88 miles away in New York City. Here’s the bottom line: It’s OK to hire an SEO to optimize your site. But, you should know what they are doing… EXACTLY what they’re doing. If they tell you, “we’re building back-links to your site,” ask them HOW. These spam comments usually get filtered automatically. But, some slip through. Bloggers like myself pay attention to the comments on our blogs and end up deleting them. So, if your SEO is doing this, he or she is wasting time and YOUR MONEY. This entry was posted in Marketing, Websites, What Happened Today and tagged back-links, blog comments, blog spam, comment spam, SEO. Bookmark the permalink. 17 Responses to Know What Your SEO Is Doing! What really does not make sense is that this (dentalwarrior.com) is a website for dentists and those who like to do their own websites and marketing. Why would a dentist advertise his practice to dentists? This SEO company is boneheaded. Its the cheap easy route to run on your coattails. Kudos for exposing it again. They’re not “advertising” their practices to dentists. They’re simply putting a LINK on a highly-ranked website… building as many back-links as possible to their own site. Google uses that as a factor in ranking a site. I hired someone in the past to do our SEO and he boasted of all the backlinks he created for us. I cringe now wondering what that might have looked like. We have a new website and address so none of that has followed. Google keeps getting smarter anyway so trying to game it probably won’t work for long. Thanks for all your great posts Mike. I learn something with every one! Thanks for your comments. Good luck with the new site! Thanks for your comments,Helge! You’re right… a GOOD SEO want’s QUALITY links… Not just any links. My hope is to help my colleagues understand what SEOs do and what questions to ask. I actually do have some good posts about SEO on one of my blogs, you can copy-paste some of my posts if you want, the site is marketingguard dot com. This is slightly off topic, but I would love for you to do a blog post about your use of Digiprove. I see you just started using it a couple of months ago. For those dentists who write their own copy and take/post high quality dental photographs, theft of intellectual property is a big concern. It is a big worry for both my blog and my main website. I am sure there are other dentists out there who are interested too. I could do an article about that, Nicholas. It IS a problem. And many dentists apparently are under the mistaken impression that it’s perfectly OK to swipe intellectual property. Thanks for the suggestion! Will get to work on it. Once you planted that idea in my head… I couldn’t resist writing about it right away! I started reading this and almost fell out of the chair! I am an SEO but have been involved in the dental industry for over 15 years. My brother is a dentist and I have learned a ton from him. I discovered your blog not too long ago. Yea sure I might get a backlink from this but the value for me is the information I get from this. I have other dentists who are always looking for new ideas for marketing and to get a pulse on the industry. Most of the dentists I work with are slammed with running their practice and I can’t seem to get them to update their own blogs. Believe me I have tried! 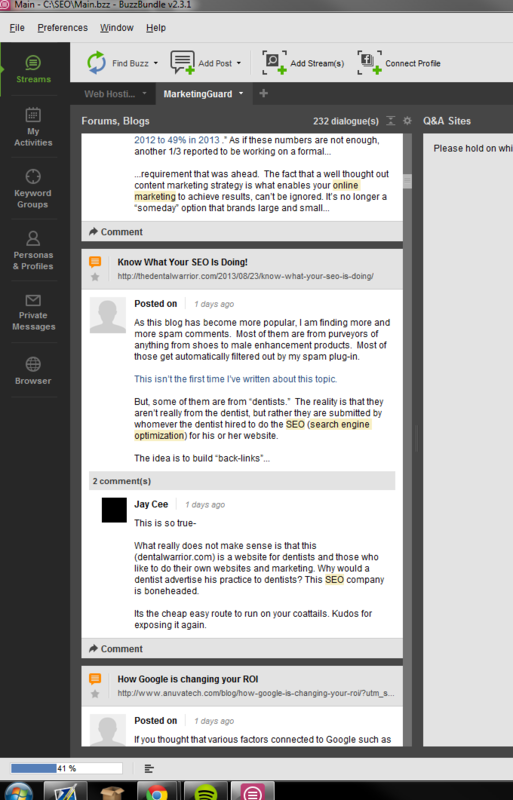 I don’t mind comments with backlinks as long as the comments are coherent and relevant to the blog article. But, when they’re gibberish and obviously intended SOLELY as backlink generation… if they don’t get automatically eliminated by the spam filter plugin, I’ll delete them myself. Thanks for your comments. Come back and chime in any time! Thanks for sharing this article. reading this article i have a great knowledge ,why quality back links need for seo.I hope this article help me to understand what seo do & why they do. Dental Warrior’s comment: I intentionally let this one through with links removed, as it was a perfect example of what this blog article is about. The source of the comment was in BANGLADESH. Obviously, this is an SEO outsourcing “link-building” efforts. I knew it was outsourced by the grammar and syntax. Folks in Louisiana talk funny, but this was obviously out of a foreign country (where much of this work is outsourced). A search on the IP address confirmed it was – Bangladesh. Informative article on SEO. 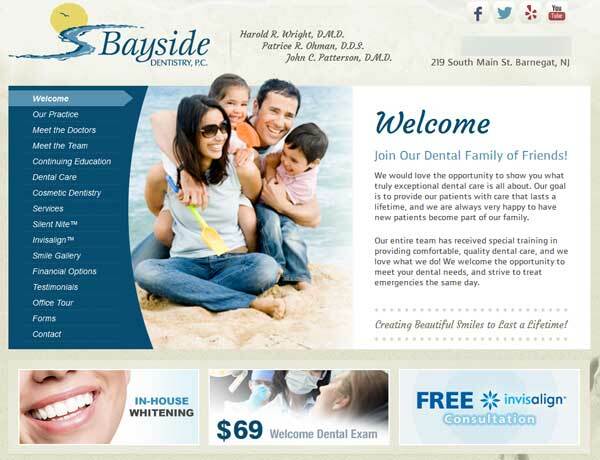 Many dental practices aren’t aware of the importance of optimizing their website. Have a nice day!!!!! 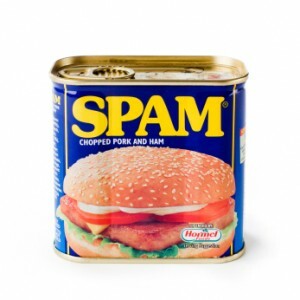 We get junk through our web form with all kinds of links and bad English. Looks like automated programs just submitting to web forms to see what sticks.